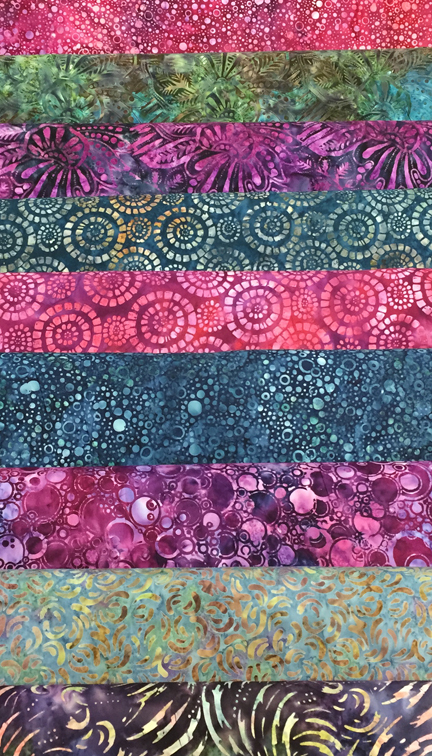 We received more beautiful batiks last week. Along with this collection we got in coordinating jelly rolls, layer cakes, and charm packs. 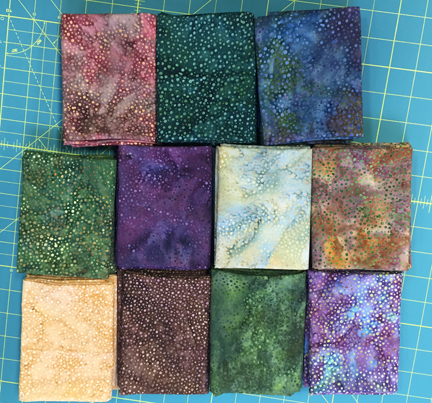 We were also happy to unbox 11 bolts of these nice little spotted batiks along with a couple dozen bolts of batik blenders so that you'll have plenty of "go-withs" for your projects. 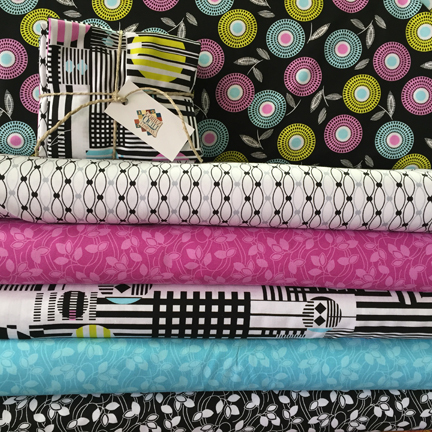 This bright collection also showed up last week and would make up nicely as a modern quilt or fun tote bag. 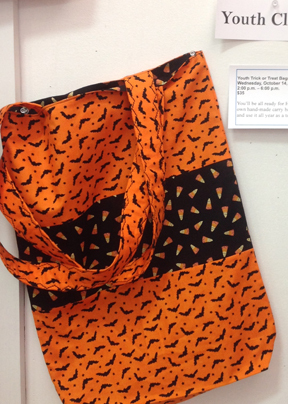 Get ready for Halloween by making your very own Trick or Treat bag. Aimee King will teach this class. Sign up today! 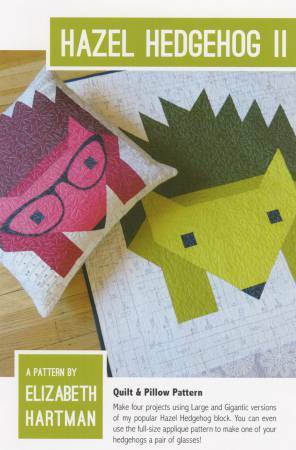 Teacher Judi Swain has renamed this pattern “Hazel The Hedgehog Diva” – and rightly so! With or without the cool glasses, Hazel is a hit. 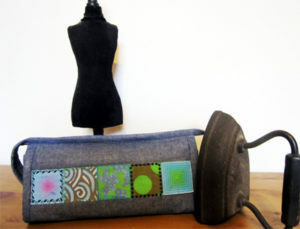 Make this as a pillow or wall hanging in a variety of sizes. If you enjoy the technique (it’s not paper pieced) you might want to venture out and make Fancy Forest which features not only Hazel, but also owls, rabbits, butterflies, and the ever popular Fancy Fox. 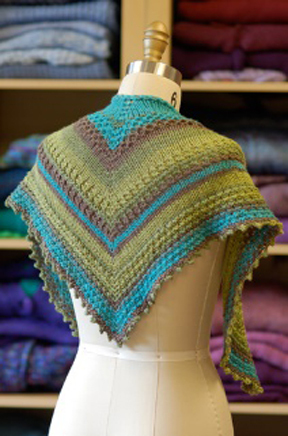 Make this simple, beautiful shawlette and learn new texture stitches while honing your knitting skills. Use either one color yarn, or experiment and use more than one color. For beginning and intermediate knitters. Must know how to cast on, knit, purl, decrease, increase, and bind off. Choose one of two patterns and join this evening Knit-A-Long. 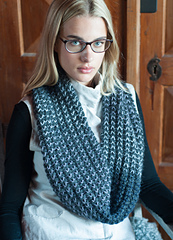 Anne will be available during each session to help you knit a soft, luxurious cowl with Mirasol alpaca yarns. 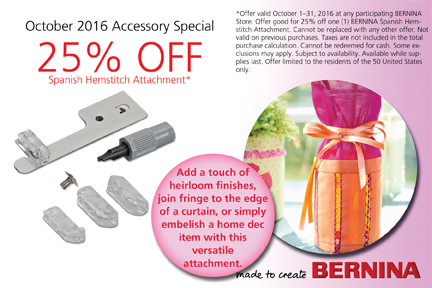 Find out more about what this attachment can do for you and watch a video here. Entries will be on display for voting by visitors and customers October 28 and 29. Winner of a $50 gift certificate will be announced on October 31. We have two categories for our first ever sock contest – craziest sock and most elegant sock. Entry deadline is October 31. Socks will be on display through 11/9 in the yarn shop where customers and visitors can vote for their favorite. The winners will be announced November 10 and will each receive a $25 gift certificate. I pieced a queen size quilt at home over the past few days and as I was sewing remembered this tip that we shared some time ago. 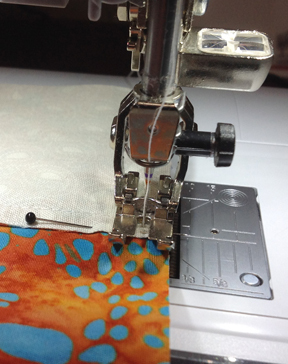 You can make perfect points (or as I like to call them, "intersections") by pinning at every single seam. No exceptions! The real trick, however, is to sew slowly as you approach a pin and remove it ONLY AFTER your needle is in the down position just beyond the seam (see image). After you do this for a while you'll get into the habit of placing your pin in such a way that it's easy to get one good stitch beyond that seam line so that it's easy to remove the pin without the fabric shifting. So, there you go . . . perfect points. Or intersections.